Greg formed Pacific Engineering Design in 1986. Greg is responsible for the civil engineering design and administration of all projects undertaken by Pacific Engineering Design, LLC from conception to final acceptance. He monitors requirements and the engineering standards of the firm. Based on forty years of experience, seven of which involved construction and thirty-three involving design, Greg has been responsible for more than 3,000 projects. His engineering experience includes field surveying for oil and natural gas companies, field supervision of earth moving and construction crews, design of roadway and utilities systems for municipalities, government agencies, and private development firms. He has extensive experience in the design of storm and sanitary sewer, earthwork operations, public and private roadway design, and water works design. 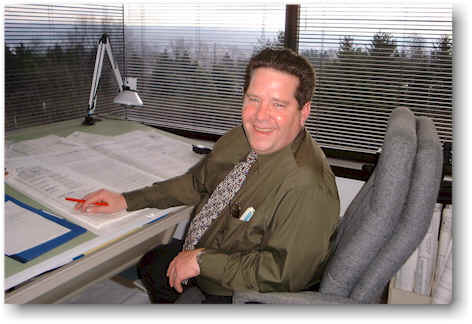 Greg has been responsible for civil engineering administration and design on projects throughout the Western United States and Alaska. Recent projects include a 500-unit multi-family housing project in Redmond, a 234-room Marriott Residence Inn in Seattle, a 300-unit project in Issaquah, and an award winning 800-unit development along Northshore Golf Course in Tacoma.